Have you ever eaten a greasy, cheesy, savory pizza and found yourself breaking out the next day? Well, there are several good reasons why – and it’s not just because “greasy food causes acne”. 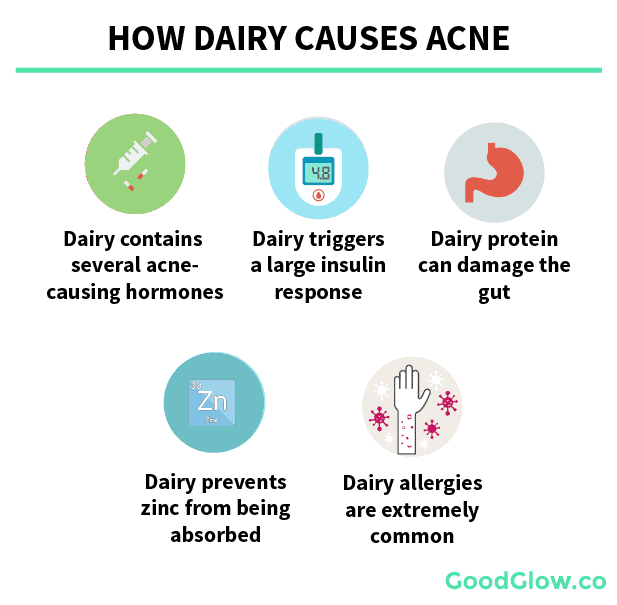 Pizza is one of the worst foods to eat for acne-prone skin for a few reasons – it contains a significant amount of dairy, which has hormones that overstimulate skin oil production and can trigger inflammatory acne. It also contains gluten, which can damage the gut and lead to even more acne, and unhealthy fats that can trigger inflammation. Finally, pizza is high in carbohydrates, which triggers the body to release even more acne-causing hormones. Overall, pizza hits just about every possible root cause of acne – digestive, hormonal, and inflammatory acne. Unless you’re getting a Vegan or dairy-free pizza, odds are you’re going to be consuming a lot of low-quality cheese anytime you eat pizza. Pizza typically contains pasteurized, soft, young cheese from cows, which is some of the worst for acne. Aged, hard, raw cheese from goats or sheep are lower in acne-causing hormones like IGF-1 and easier to digest than most of the cheese you’ll find on pizza. The downside? It usually isn’t as tasty as fresh mozzarella. While this isn’t entirely true, and there are plenty of reasons why some fat is actually great for acne-prone skin, there is some truth to it when it comes to foods like pizza. 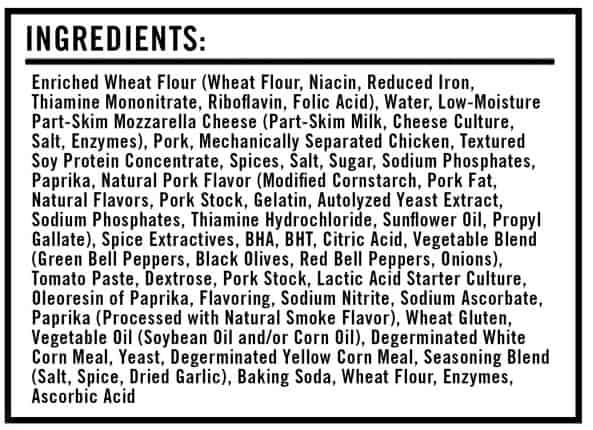 Artificial foods like pizza contain vegetable oils, including soybean, sunflower, safflower, and canola oil. The problem with these oils is that they are extremely unstable, especially under high heat. When these oils get cooked, they turn into highly-inflammatory fats. Inflammation is what takes a simple little acne infection and turns it into a bright, red, protruding pimple. A single slice of pizza has around 1.36g of omega-6 fatty acids. That’s quite a bit by itself, but ask yourself this: when’s the last time you had just one slice of pizza? Gluten, which is a protein found in wheat and many other grains, is a pretty big problem for acne. Pizza crust is loaded with gluten. Gluten is what’s known as a lectin. Lectins are compounds found in plants that prevent animals from digesting them properly. Our bodies aren’t able to break down certain lectins, so they enter the small intestine undigested and can punch holes in the intestinal wall. This can lead to a condition called leaky gut syndrome. Leaky gut syndrome is a problem for acne for a few reasons: first, it allows undigested protein to enter the bloodstream. 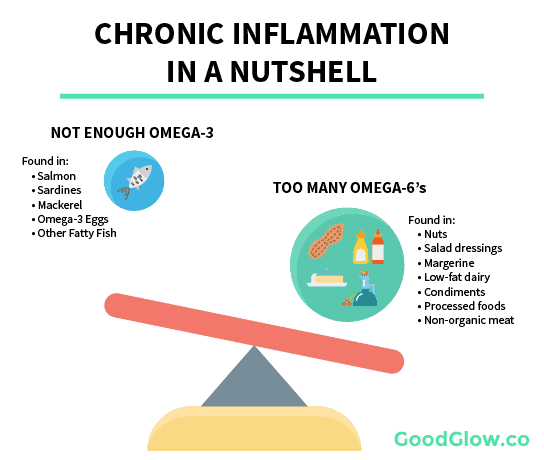 When this happens, your immune system fires off an inflammatory response. If this happens too much, it can lead to a hyperactive immune system that triggers inflammatory acne. It also can lead to hormonal acne through insulin resistance, and prevent your body from absorbing acne-fighting nutrients like zinc. In summary, gluten damages the digestive system by making it easier for undigested food to pass through your gut into your bloodstream. This can trigger inflammatory and hormonal acne. Pizza is no exception, as the majority of pizza crusts are loaded with gluten. Pizza is pretty high in carbs, with a single slice contains 23.5g of carbs. Carbs aren’t evil, and they won’t automatically cause acne, but too many carbs too frequently will. When you eat carbs, your body releases a hormone known as insulin to help break the carbs down and transport them to the muscles that need them. When you eat too many carbs too often, your body becomes insulin resistant. Just like how you need more and more coffee to feel energized every morning your body needs more and more insulin to move carbs around. These three hormones trigger pretty much every root cause of acne. If you’re having 3 or 4 slices of pizza, that’s a pretty big insulin response. Granted pizza isn’t the world’s largest source of carbs, it’ll still make a dent. See my guide to Carbs, Sugar, Insulin, and Acne for more details. 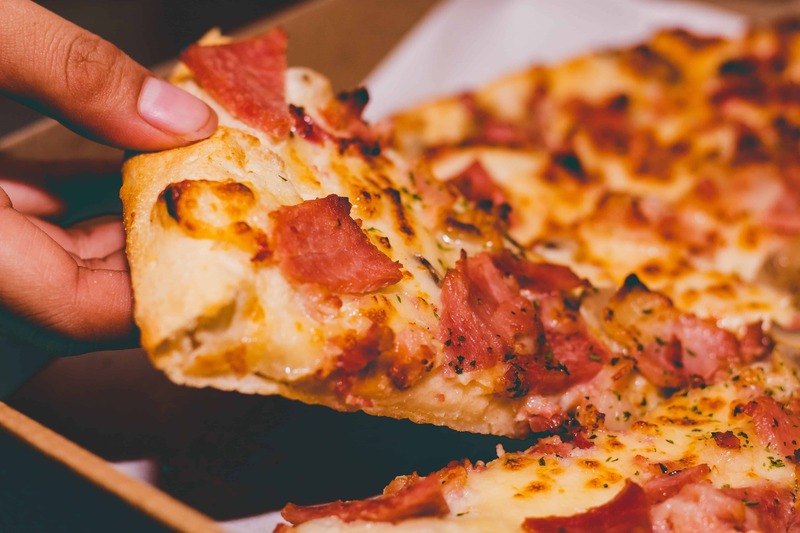 Yikes, not great – unless you’re in Europe, odds are your pizza is going to have a massive ingredients list with tons of acne-causing additives – not a good play for your skin. At this point, you’re probably wondering if it’s ever safe to have pizza again when it comes to acne. Here’s the deal – everyone is different. Some people might be able to handle certain types of kinds of pizza, while others may not. Personally, I can’t handle pizza in the United States because the cheese is grain-fed, low-fat, and pasteurized, the crust is enriched and high in gluten, and there are tons of additives. In Italy, I don’t seem to have a problem with the occasional high-quality pizza (the cheese is almost always raw buffalo cheese, the grain is much lower in gluten, and the ingredients are fresh, local, and often organic). You might be able to handle some pizzas, but not others – some of you might have to cut it out altogether and try adding it back later. There is no one-size-fits-all. With that being said, there are some ways to make your pizza considerably more acne-friendly. There is no perfect pizza for acne – but there are certainly better pizzas for your skin than your typical frozen or delivery pie. Go for a gluten-free crust – try to use coconut flour or a cauliflower crust instead of grain. Most places will have a gluten-free crust option that uses eggs, nuts, coconut, or cauliflower. Again, it’s not going to be perfect, but making your own pizza, or even just substituting with a gluten-free crust can make a world of difference. 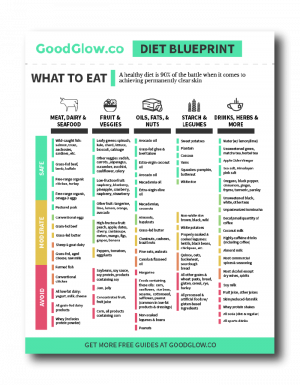 Everything you need to start eating an acne-free diet, all on one page. Get permanently clear skin from within.